Injured by a Dangerous Drug or Defective Medical Device? Prescription drugs and medical devices are essential for remedying numerous health ailments. While designed to do good, drug side effects and defective medical devices have the capacity to cause great harm. Pharmaceutical companies and medical device manufacturers are responsible for ensuring that their products work as advertised and do not cause additional injuries to patients. However, these companies often prioritize profits over safety by neglecting or omitting certain tests and precautions. When this happens, dangerously defective implants, medical devices and drugs may be marketed to healthcare providers and patients. Under certain circumstances, patients and/or grieving family members harmed by these business practices may have legal options to hold negligent companies accountable. If a defective drug or medical device harmed you or a loved one, then a defective drug attorney from our law firm may be able to help you seek compensation from the manufacturer. 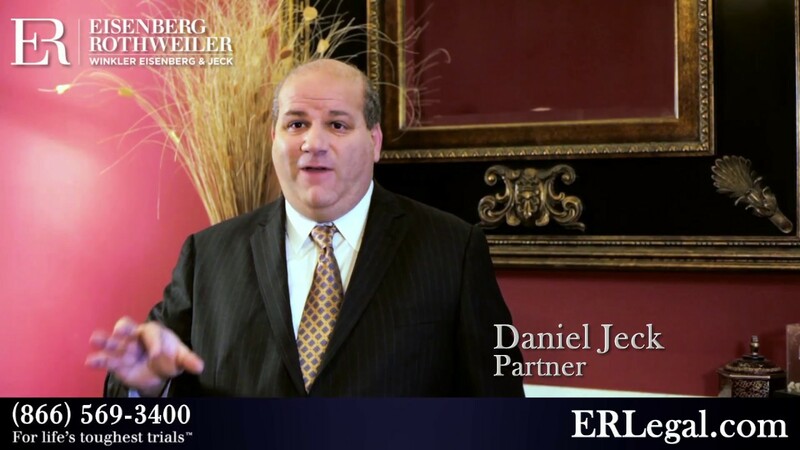 The pharmaceutical litigation lawyers at Eisenberg, Rothweiler, Winkler, Eisenberg & Jeck P.C. have helped clients recover multimillion-dollar verdicts and settlements from individual lawsuits and multidistrict litigations (MDL). When the negligent and reckless actions of pharmaceutical companies harm innocent people, our product liability attorneys will stop at nothing to hold them accountable. Can I File a Lawsuit for Defective Drugs or Medical Devices? Improper marketing. Patients can suffer permanent injuries or death when drug companies improperly market their products. For example, Johnson & Johnson paid $2.2 billion in criminal and civil fines for improperly marketing Risperdal. Normally prescribed for psychiatric disorders, Johnson & Johnson marketed this antipsychotic drug to children, the elderly and people with developmental disabilities for off-label uses. However, these groups may suffer permanent side effects by taking Risperdal. Hidden side effects. Drug companies may omit dangerous side effects from the label. Plaintiffs have filed lawsuits against Johnson & Johnson and Bayer over allegations these companies concealed dangerous side effects of the blood thinner Xarelto. Medical device and drug defects. Medical devices and drugs may contain design or manufacturing defects that can harm patients. In many cases, these defects result when companies fail to adequately test and research their products before putting them on the market. Off-label prescribing. This occurs when a physician prescribes medication for reasons not approved by the Food and Drug Administration (FDA). Patients may suffer harmful side effects while taking prescription drugs for off-label uses. Depending on the circumstances, the doctor and/or the pharmaceutical company may be responsible for these injuries. What Types of Injuries Are Caused by Defective Drugs? Invokana. This diabetes medication may increase the risk of kidney failure, cardiac arrest and ketoacidosis, a potentially fatal condition. Additionally, Invokana may increase the likelihood of foot and leg amputation. Zofran. Zofran is FDA-approved to treat nausea and vomiting during chemotherapy. However, the doctors also prescribed the drug off-label to women for morning sickness, which may cause heart defects in newborns. Januvia and Byetta. This class of drugs, also known as incretin mimetics, treats Type 2 diabetes. However, the FDA found that defects in Januvia and Byetta increase the risk of pancreatitis and/or pancreatic cancer. Viagra. Pfizer released Viagra in 1998 to treat erectile dysfunction. However, reports suggest that Viagra causes vision loss and increases the risk of skin cancer. Testosterone therapy. AndroGel and other testosterone therapies may increase the risk of heart attack and stroke. Talcum powder. While not a prescription drug, studies indicate that talcum powder may cause ovarian cancer. How Can Defective Medical Devices Cause Injuries? IVC filters. Doctors implant these tiny “spider-like” devices into the inferior vena cava to block blood clots from entering vital organs. Lawsuits against C.R. Bard and Cook Medical allege that IVC filters contain dangerous defects, causing breakage. When this happens, pieces of the filters may pierce vital organs, such as the heart, lungs, liver, kidneys or the inferior vena cava. IVC filters may also migrate to other parts of the body and cause injuries. Essure. This permanent birth control device uses metal coil implants that block the fallopian tubes. Women implanted with Essure have filed lawsuits after developing severe allergic reactions or constant pelvic pain. FDA adverse event reports suggest some women suffered perforated organs from the device. Transvaginal mesh. Women implanted with transvaginal mesh devices have reported constant pain, sexual dysfunction and organ prolapse. In addition, women may also suffer complications when they undergo corrective surgeries to remove transvaginal meshes. Mirena® IUD. Mirena® IUD is a T-shaped contraceptive that is implanted into the uterus to serve as a permanent form of birth control. Women implanted with Mirena® IUD have reported organ perforation, migraines, blurred vision, infection and device migration. If you or a loved one suffered harm due to a defective drug or medical device, the pharmaceutical litigation lawyers at Eisenberg, Rothweiler, Winkler, Eisenberg & Jeck P.C. want to help. Our attorneys are experienced courtroom advocates who know how to present drug liability cases. We can help you obtain compensation for medical bills, wage loss, pain and suffering and other losses. Our law firm handles a wide range of pharmaceutical liability lawsuits for clients throughout Pennsylvania and New Jersey. We offer free initial consultations and handle cases on a contingency fee basis; therefore,you will not have to pay us unless we get results. For more information on how we can help, call (877) 638-0114 or fill out our online case review form.